THE ADVENTURE OF A LIFETIME AWAITS YOU. When it comes to pioneering firsts at sea, there’s only one rule: anything is possible. Royal Caribbean pushes the limits of imagination to exceed your expectations each and every time you sail with us, taking you to a destination that can’t be found on any map—Destination WOW. It’s these incredible experiences that build lifelong memories and keep our guests coming back time and again. From the blue ice of massive glacial fields to the stunning grandeur of the scenery and wildlife, everything in Alaska is big, bold and absolutely breathtaking. Including the adventures. Royal Caribbean International® takes care of all the planning, transportation and lodging for you. Travel in comfort on our deluxe motorcoaches and on the Wilderness Express®, our luxurious, plush glass-domed traincars that offer panoramic views of the grand Alaskan frontier. 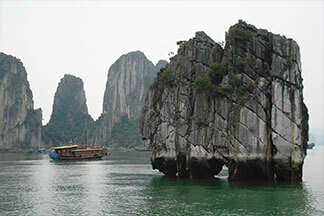 Visit the Far East, a kaleidoscope of exotic sights, sounds, tastes and experiences. From the beauty and tranquility of ancient temples, to the distinctive flavors of the curries and satays at a Bangkok cafe, to world-class shopping in the bustling open-air markets of Hong Kong – we can't wait to give you the chance to unleash your own adventure in one of the world's most amazing destinations. 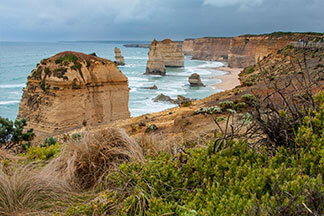 Royal Caribbean International® invites you to the home of kangaroos, koalas, and kiwis. Take one of our 12- or 14-night cruises to Australia, New Zealand and the South Pacific islands for an extraordinary vacation like no other. Have an in-depth look at the best adventures this side of the southern hemisphere. 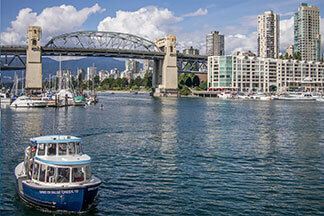 Ports of call include enchanting destinations like Sydney, Melbourne, Wellington, Christchurch, Tasmania, Fiji and more. If you've ever dreamed of an exotic cruise to the South Pacific, it has just come true. 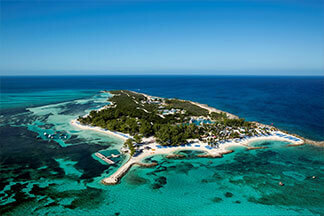 Close to the East Coast of the United States lay the Bahamas—an unforgettable escape from harsh winters in the north. On a Bahamas cruise with Royal Caribbean International®, you'll get to swim with dolphins and tropical fish in turquoise waters, or soar above the sea in a parasail. Then explore the islands’ thrilling history as a pirate haven and one-time “Privateer’s Republic”—with Blackbeard himself as the magistrate. It's a slice of pirate paradise you'll never forget. Just 600 nautical miles off the coast of North Carolina (if you don't know what a nautical mile is our captain will be happy to explain it to you), this enchanting island is celebrated for its pastel painted houses, brilliantly colorful gardens, cricket matches and charming shorts. 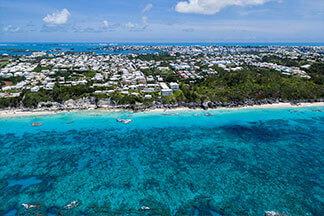 In addition to pink-sand beaches and excellent shopping, Bermuda's proximity to the U.S. makes it an ideal destination for a getaway cruise vacation with Royal Caribbean International®. 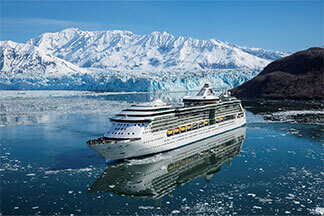 With Royal Caribbean International®, you'll discover the unmistakable charm of New England and eastern Canada. A distinctive history and natural beauty (much like yourself we imagine) gives the region an alluring appeal. There's no better time to visit than the fall. The foliage is brilliant in every imaginable color, lighthouses dot the coastline, and there's always an authentic lobster bake to be savored! Lobster bibs included. Nobody but Royal Caribbean International® delivers more jaw-dropping, tummy-tickling, romance-kindling moments throughout the Caribbean. Explore the finest white-sand beaches and most translucent blue waters on either of our two private destinations, Labadee® and CocoCay®. 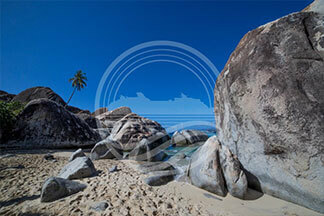 Create memorable adventures on your Caribbean cruise that will inspire you for a lifetime. 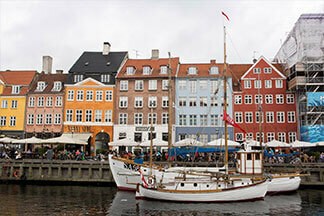 From the fjords of Norway to the ruins of the Mediterranean, explore the Old World beauty of Europe like you never have before on one of our distinctive cruises. Stand in awe before the works of Michelangelo in Italy or Gaudi’s distinctive architecture in Spain. Tour the hallowed halls of St. Petersburg, Russia, and witness the remains of ancient civilizations in Greece and Turkey. It’s the trip of a lifetime, so plan your adventure today. Explore the islands, Maui's waterfalls and winding back roads on a four-wheel adventure through Kauai. Discover lush rain forests and orchid-scented botanical gardens on Hawaii, and hike Oahu's Diamond Head and Koko Head volcanoes. 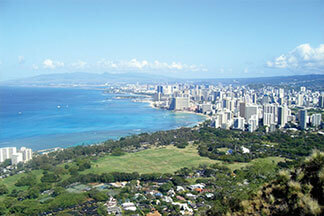 Come experience the wonders of Hawaii on an incredible Royal Caribbean International® cruise vacation.